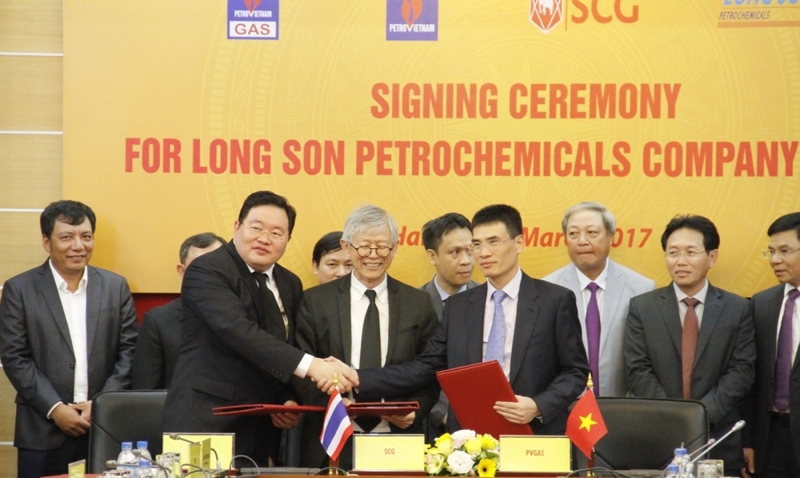 (VEN) - Vietnam Oil and Gas Group (PVN) and Siam Cement Public Company Limited (SCG) signed a memorandum of understanding (MoU) on speeding up construction of the Long Son Petrochemical Complex in the southern province of Ba Ria-Vung Tau. Under the MoU signed in Thailand during the visit of Prime Minister Nguyen Xuan Phuc last month, PVN and SCG committed to helping the LSP investor carry out the Engineering Procurement and Construction (EPC) contract in the fourth quarter of this year. Located some 100km from Ho Chi Minh City, the Long Son Petrochemical Complex is the first petrochemical complex in Vietnam, creating an olefin capacity of up to 1.6 million tonnes per year. The complex is expected to be operational by 2022, providing important fuel sources for the manufacturing sector. During the construction process, the project will create some 15,000-20,000 jobs. 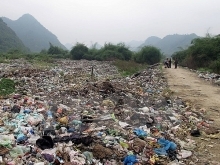 Once finished, it will create more than 1,000 jobs and is estimated to contribute some US$115 million per year to the local budget. The province has completed the removal of all 390 households on the project’s construction site and handed over the cleared site to LSP. 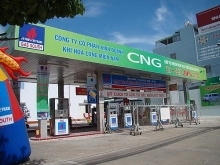 Nguyen Hong Linh, provincial party secretary of Ba Ria-Vung Tau Province, said the province is focusing on developing key sectors, especially support industries related to the petrochemical industry. Regarding the development of seaports, Ba Ria-Vung Tau Province is the only place in the south that can receive vessels of up to 162,000 tonnes, providing the largest transshipment port in the region. The province is keen to develop logistics services and create favorable conditions for trade and investment, and to promote the efficient operation of seaports, thereby reducing costs for business and improving national competitiveness. Ba Ria-Vung Tau Province also sees potential in tourism development to its beaches and islands. The province welcomed more than 14 million tourists in 2016 and is making greater efforts to improve service quality. Trinh Hang, director of Ba Ria-Vung Tau Department of Tourism, said that thanks to improved transport infrastructure, tourists from Ho Chi Minh City and other neighboring provinces spend weekends and holidays there. Ba Ria-Vung Tau Province welcomed more than 340,000 tourists this summer, an increase of around 30-40 percent compared to a year ago. The province has also identified high-tech agriculture as a potential investment target, contributing to increasing incomes for local farmers.